January is the perfect time to plan your garden. Most everything is dormant, there is little to no maintenance needed. Think about what your garden looked like last summer – do you want changes? Was it well designed, showing all the beauty of your plantings? Or is it a hodgepodge of different flowers which tend to overtake each other due to overplanting? 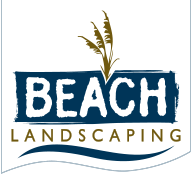 You can sit down with the professionals at Beach Landscaping to design and plan your garden for the next season. Maybe you want to add greenery or a tree or two. There is a lot to plan if that’s the direction you want to take. Researching what tree or bush grows best in your soil and sun/shade situation. Finding out how wide and tall the tree or bush can reach is important as well. It would be especially relevant when choosing to plant a tree. Due to projected growth will it eventually have branches so wide it blocks sunlight into your home?. Bushes are also the same; you don’t want large bushes near doors or partially blocking windows. Consequently you may be creating an unsafe environment. As a result, due to the creation of shaded or blocked areas in entry ways thieves will be drawn to that house over one who is easily seen from the street. Where To Begin Designing Your Garden? Beach Landscaping has experience in designing and maintaining gardens. Our process is to first speak with you, figure out what is important to you – is it color? Is it shade? Is it a 3 season garden? Everyone is different in their likes and dislikes and we work within yours – guiding you along the way. Therefore our blogs this month we will begin to discuss the best trees/bushes and plants so that you can plan your garden with the best plants and trees for your vision. Call us at 843-450-5001 to make an appointment. Despite the cold and damp spring is right around the corner!